Yes, you do! 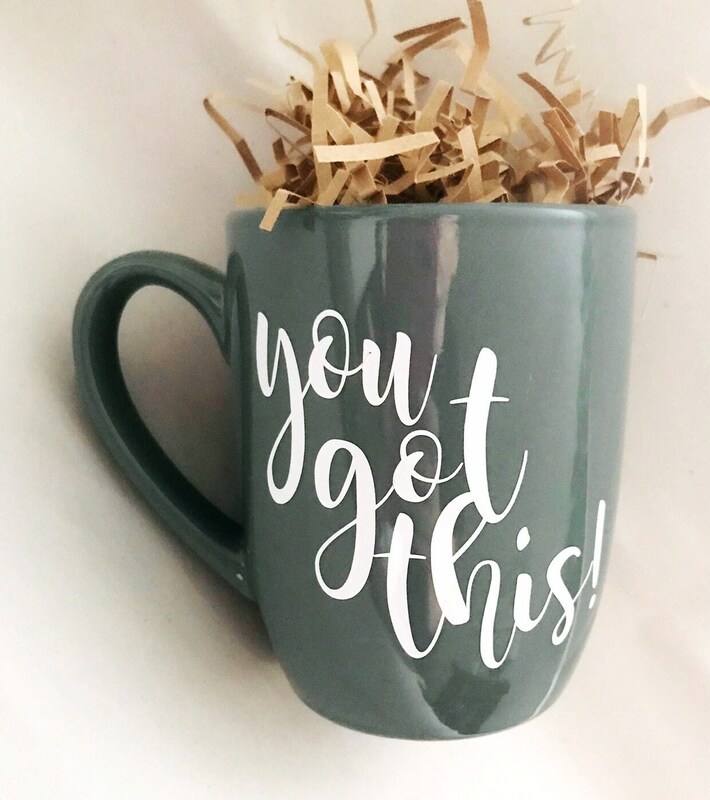 You got this mama, daddy, boss babe, best friend- you got this! 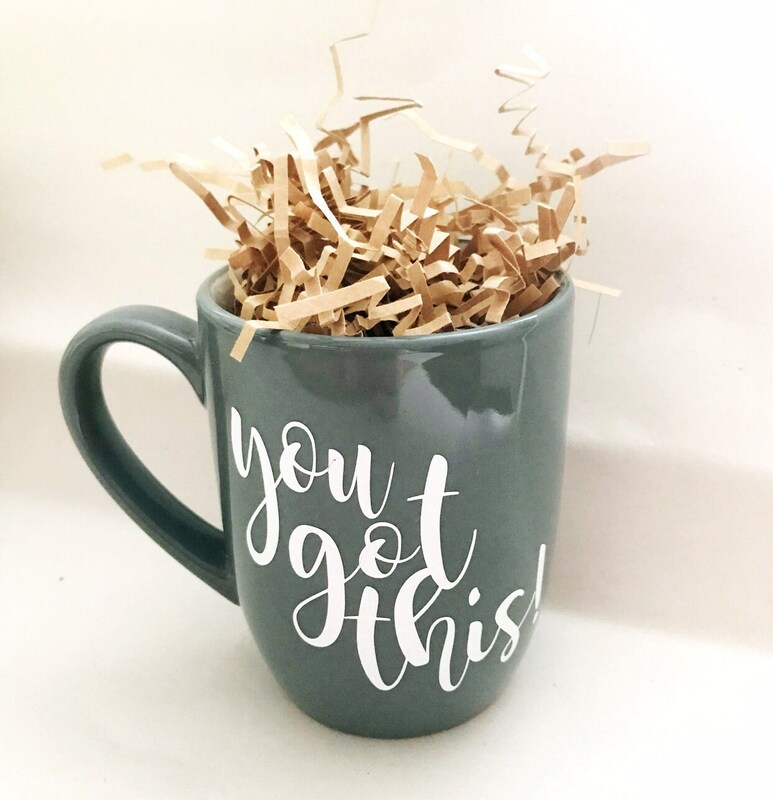 Now go own the day, with this one of a kind Simplyjlynn, grey coffee mug! FYI...the lettering is/are stickers or decals. I thought it was actually painted or imprinted on the mug. Was not specified in item details. This is such a great mug. I bought it as a gift, and my friend was thrilled with it. 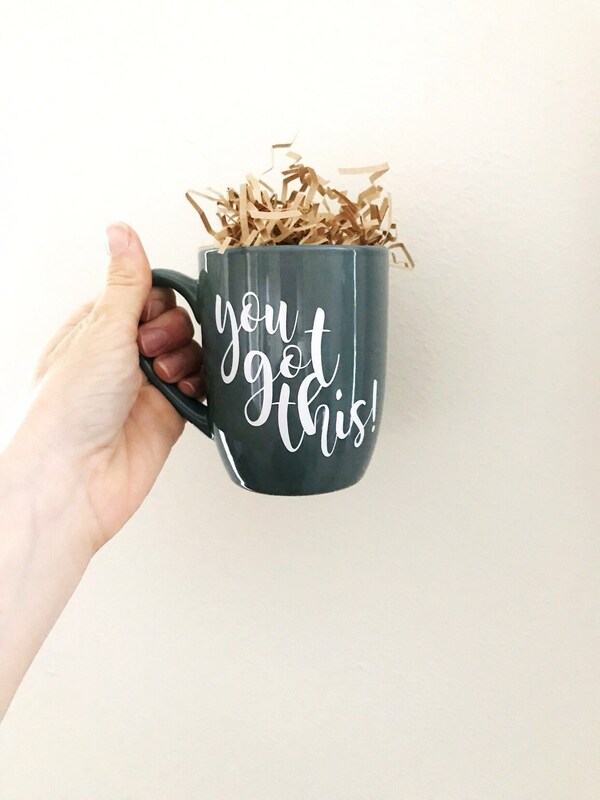 It is a great size, love the color and the carefully added words of YOU GOT THIS. So cool. I need to get one for myself. I LOOOOOOVE the mugs I ordered! And I received them so quickly....will definitely be ordering Holiday gifts! Its very pretty! Smaller than expected but very nice.